What says romance more than a lunch date at the White House? New Jersey Governor Chris Christie and his wife, Mary Pat, dined with President Trump at the White House this Valentine's Day. A White House senior official told NBC News that the governor and the president spoke by phone last week, resulting in an invitation to the White House. White House press secretary Sean Spicer said during Tuesday's press briefing that Christie's work on opioid addiction was a topic of discussion during the lunch. Christie's day also included a visit with Vice President Mike Pence, who tweeted a photo of the meeting Tuesday night. 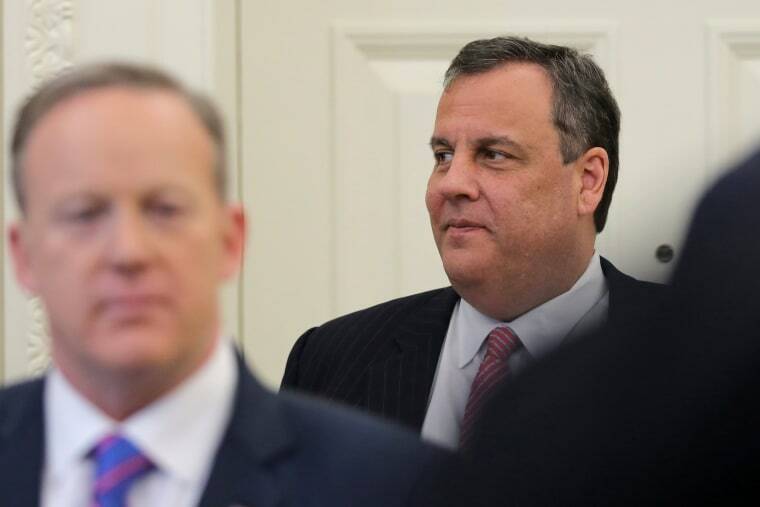 That Christie is back in the White House is notable considering his abrupt departure from the Trump team's transition efforts last November. The New Jersey governor, a 2016 presidential hopeful himself, was a key adviser in Trump's orbit before being ousted during the transition, with multiple sources telling NBC News at the time that his demotion was a result of not being sufficiently loyal during the campaign. Then Vice President-Elect Pence took over as head of the transition efforts. The White House official downplayed the significance of the lunch in an interview with NBC News, noting that Christie and Trump are long time friends. The lunch date comes amid a staff shake up at the White House, with National Security Adviser Michael Flynn resigning after misleading White House officials about the nature of his calls with Russian Ambassador Sergei Kislyak. Over the weekend, reports also surfaced that Trump might be unhappy with his current chief of staff, Reince Priebus, after an interview with a close friend of Trump calling Priebus weak. Newsmax CEO Chris Ruddy later walked the comments back, saying he'd since spoken with Priebus and is impressed with the plans coming down the pipeline. On Monday evening, Trump told a group of reporters during a chance encounter in the West Wing that his chief of staff was doing a "great job." "Not a good job," the president made sure to say. "A great job."